A landscaper described by Toronto police as an alleged serial killer is accused of hiding some dismembered remains in the bottom of large planters, authorities said. 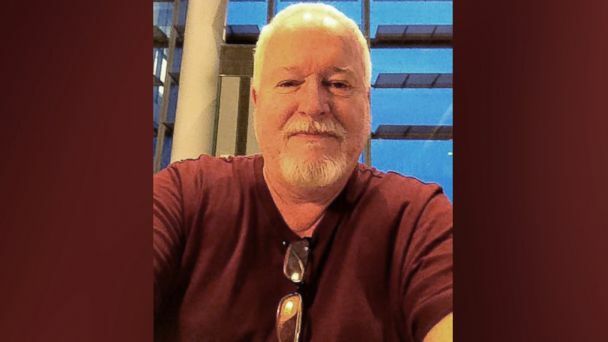 Bruce McArthur was charged this month with the deaths of five men, Toronto police said, adding that there could be even more victims. Police say the dismembered remains of at least three people have been found hidden in the bottom of large planters in the backyard of a home McArthur allegedly used for storage. Those remains have not yet been identified. Police are conducting searches at 30 properties where McArthur worked and said more remains could be discovered. Over a dozen planters have been recovered from various addresses, Toronto Police Sgt. Hank Idsinga said. "We do believe there are more" victims, Idsinga said at a news conference Monday. "I have no idea how many more there are going to be." McArthur was arrested on Jan. 18 and charged with two counts of first-degree murder for the killings of Andrew Kinsman, 49, and Selim Esen, 44, the Toronto Police Service said. Kinsman was reported missing in June 2017 and Esen was reported missing in April 2017. On Monday McArthur was charged with three more counts of first-degree murder for the deaths of Majeed Kayhan, 58, Soroush Mahmudi, 50, and Dean Lisowick, 47, police said. Kayhan was reported missing in 2012 and Mahmudi was reported missing in 2015. Lisowick was never reported as missing but police said he was likely killed between May 2016 and July 2017. Idsinga said police are working on determining McArthur's connection to his alleged victims. At least one of the men McArthur is charged with killing went missing from Gay Village, a predominantly gay neighborhood, but Idsinga said the case "encompasses more than the gay community." It "encompasses the city of Toronto," he said. "The city of Toronto has never seen anything like this." Police said those who have received landscaping services from McArthur are asked to reach out if they haven't already been contacted. At a brief court appearance on Jan. 19, McArthur was represented by Edward H. Royle & Partners LLP, the Toronto Star reported. An attorney with the firm declined to comment to ABC News today. McArthur is set to make a plea appearance on Feb. 14, according to The Washington Post.